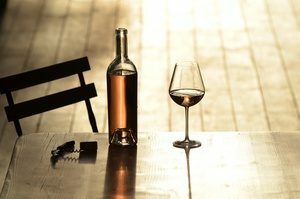 It’s wine touring like never before, an incredible 15 days spread across five different regions, this is the ultimate break for wine lovers, and is available throughout the year. You’ll taste an astonishing 78 wines from Burgundy, Champagne, Bordeaux, Rioja and Tuscany… tempted??? The newly launched Grand European Wine Tour is based at selected 4* hotels across Europe, including three nights spent on the site of a working winery in Rioja! On this amazing whistle-stop wine trip across Europe, guests will learn all about red, white, rosé and sparkling wines, visiting a wide range of different wineries, including large, prestigious estates, as well as small, family-run producers. Imagine travelling across Europe, taking in the culture, local sights and of course tasting the delicious wines along the way! 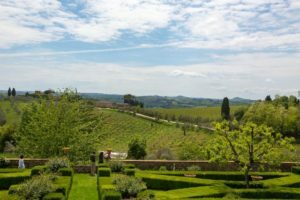 This tour gives guests the opportunity to spend three nights in Florence with visits to three Super Tuscan wineries starting the trip off in style, followed by three nights in Bordeaux, then two nights in Reims tasting some brilliant bubbles! You will then enjoy a two night stay in Burgundy, followed by a night in the city of love and lights – Paris! The final three nights will be spent in Rioja, and amongst other unique activities, you will have the opportunity to participate in the Logrono tapas run – a fantastic experience! There are so many amazing activities included on this break that it is impossible to list them all, but tour highlights include an extensive tutored tasting session of six wines in Bordeaux, a full day guided and transported wine tour with a specialist local guide in Champagne visiting two small, family-run Champagne Houses and a prestigious estate, and for a gastronomic treat, a six course gourmet dinner is included at one of the best restaurants in Florence. All flights and rail travel between the regions are included on this wine tour, and prices start from £3418 per person… so why delay? 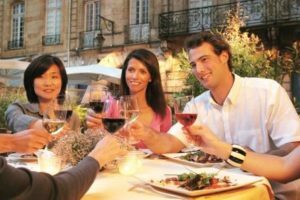 If you are looking to experience the many wines of Europe and tick a number of regions off that wine bucket list then this is the tour for you!